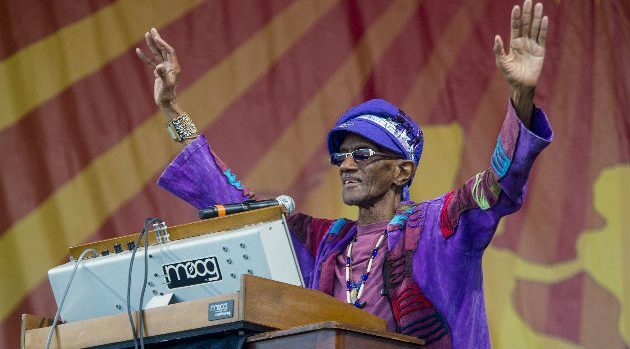 Erika Goldring/Getty ImagesParliament-Funkadelic keyboard player Bernie Worrell has died at age 72 after a battle with lung cancer. The keyboard virtuoso co-wrote many of P-Funk’s classic songs, and also toured extensively with Talking Heads in the 1980s, appearing in that band’s 1984 film Stop Making Sense. Worrell is perhaps most famous for the bass synthesizer lick that powered the 1978 Parliament smash “Flash Light.” His work is also prominent in “Mothership Connection (Star Child),” “Give Up the Funk (Tear the Roof Off the Sucker)” and “Aqua Boogie,” among the best known and most heavily sampled songs in P-Funk’s catalog. Worrell also has played with a number of artists in a variety of genres, including Les Claypool of Primus, Mos Def, Prince Paul, Nona Hendryx, Reggie Watts and others. In 2011, he toured with fellow P-Funk alum Bootsy Collins. Last year, he appeared in the Meryl Streep film Ricki and the Flash, directed by Jonathan Demme, who also directed Stop Making Sense. Earlier this year, Hendryx organized a benefit for Worrell in New York City, which featured P-Funk mastermind George Clinton, Collins, Streep, Questlove, Living Colour and the Black Rock Coalition Orchestra. Worrell was inducted into the Rock and Roll Hall of Fame in 1997, along with 15 other members of Parliament-Funkadelic.